You might be wondering how hair and hormones can possibly be related. But they are, and this link holds the key to a lot of your queries regarding the quality and volume of hair. 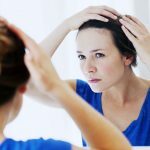 Are Hormonal Imbalance And Hair Loss Related? There are many different reasons as to why a person suffers from hair loss. 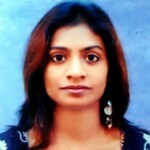 If you want to stop hair fall, you need to dig deep and uncover the underlying reason behind hair fall. 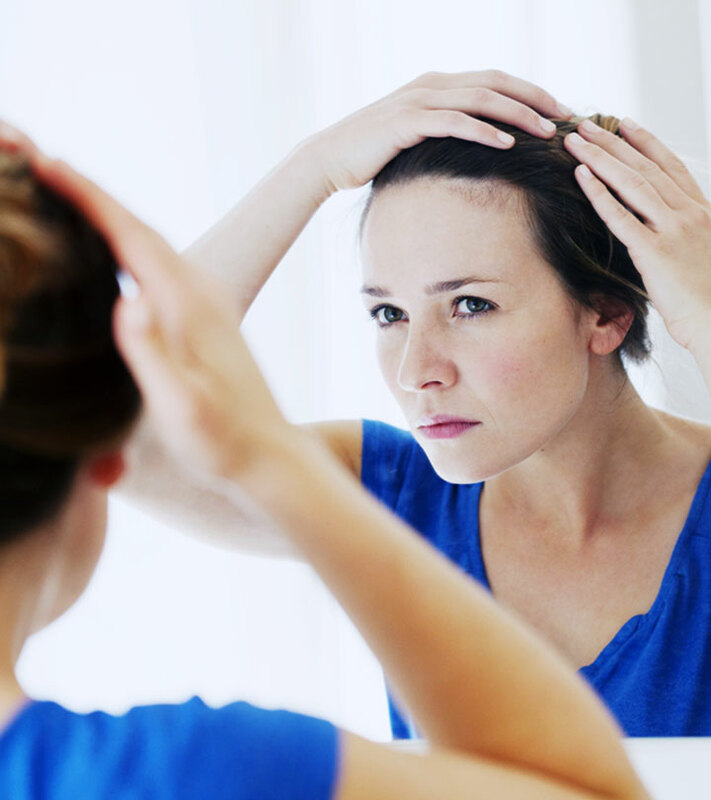 Hormonal imbalance is one of the primary reasons for hair loss. Our hormonal cycles change at various points of our life and therefore, this has a direct impact on the quality of hair at those points. This is very common and can occur in anybody’s life. One of the many times a woman experiences hormonal imbalance is during her pregnancy. A woman’s hormones tend to be all over the place during those nine months that lead to hair fall. Once she gives birth, her hormones try and come back to their normal levels, and usually, they do so without any difficulty. Menopause is another reason why women tend to have hormonal imbalances. And it doesn’t take long to show on your hair. But of course, menopause and pregnancy don’t mean that you cannot stop your hair loss and hormonal imbalances. Of course, you can. With a tailor-made treatment plan, you can definitely put a stop to hair loss. The three hormones that chiefly affect hair growth are thyroxine, estrogen, and progesterone. Now to answer the question of which hormone is responsible for hair loss that we also know as Androgenic Alopecia. Androgenetic alopecia is a common type of balding pattern seen in both men and women. Earlier, it was thought that this condition was caused due to an excessive presence of testosterone in the body. Testosterone is also present in women in slight amounts. However, it has recently been discovered that DHT or dihydrotestosterone is responsible for androgenetic alopecia. DHT leads to the death of hair follicles and is known as their primary enemy. Thus, if you are developing sudden bald patches on your scalp and don’t know the underlying reason, consult an endocrinologist immediately. It is probably a DHT related problem. Hair fall is also caused by imbalances in the thyroid hormone and during pregnancy, as mentioned above. Now it is time to talk about the hormones for hair growth. It is interesting that an excess of male hormones or androgens in a woman’s body can both lead to male patterned baldness as well as an excess growth of hair on the body. This condition is known as hirsutism. Hirsutism is not a problematic condition pathologically, but excessive facial and body hair can be a source of embarrassment for women. PCOS or polycystic ovarian syndrome is a hormonal condition which affects a good number of women everywhere. Such women have the problem of excessive facial hair. Their hair growth on the scalp is usually adversely affected because of hormonal imbalances. Losing weight or gaining it at an alarming rate, menstrual problems are also secondary symptoms of polycystic ovarian syndrome. Hirsutism is a common problem where the hair growth is directly affected by hormonal changes, and it is a long term problem though there are solutions to it including permanent hair removal through laser treatment. Having discussed both the exceptional conditions of hair loss and excessive hair growth, it is time to step back and consider what affects normal hair growth. Hormones have an important role in this as well, both directly and indirectly. Gonadotropins are important hormones. The FSH or follicle stimulating hormone and the luteinizing hormone are produced by the gonads, and these have a direct role in the production of testosterone and estrogen in men and women. Apart from this, these hormones also interact with progesterone and affect the way hair grows or does not grow. The gonadotropins have an indirect role in hair growth because they produce the hormones mentioned above which directly affect hair growth. Thyroxine: Like most of the other hormones discussed, thyroxine too does not directly affect hair production. However, deficiency of this hormone can lead to hypothyroxinemia and possible hair loss. The exact mechanism has still not been explained satisfactorily in research journals. But the link between the two is quite undisputed. Androgens: As mentioned above, this set of hormones have a direct impact on hair. Androgens are male hormones which are produced in differing quantities in both men and women. Overproduction leads to excessive facial hair and hair growth in other parts of the body. They also lead to male and female patterned baldness. Poor protein digestion can also contribute to hair loss. A poor diet combined with high stress levels can cause the stomach to secrete less hydrochloric acid, and the stomach cannot lower its pH to metabolize protein which in turn causes hair loss. Just follow the simple remedies listed here and I am sure you will see the results soon. Rogaine is a great way to treat hormonal imbalance and hair loss. This product has been approved by the US Food and Drug Administration (FDA) and is a great remedy for all those ladies who are experiencing hair fall. You can purchase it online; use it as a shampoo and try this thrice a week. You could also apply it directly to the scalp and massage it carefully. Don’t use more than a milliliter. This solution should be applied twice a day for best results. Those who don’t drink water tend to face hormonal imbalances more frequently. Around 10 to 12 glasses of water a day is all you need for this. Remember to take a glass before and after you workout, before you sleep and once you wake up. It will flush out all the toxins from your body and make you feel fresh and alive. There are many stress reduction therapies to relieve you of stress. From swimming to yoga to meditation—the list is endless. Just pick one that you find more comfortable and get going. Yoga and meditation, however, would be great choices. Most people who meditate every day tend to have healthier and stronger hair. You should exercise for 30 to 40 minutes and five times every week for a healthy body, including hair. A combination of cardio and strength training would be great. This would balance your hormones and increase blood circulation to your body and scalp. The next thing you need to do is get rid of all unhealthy habits. Stop drinking alcohol, smoking, late night meals and extra fat and carbohydrates in your meals. This will surely help your lifestyle become clean and improved, helping your hair become stronger. In order to balance the hormones and stop hair fall, you have to get good sleep. Seven to 8 hours of sleep at night is all you need. This will allow the system to function properly and make you feel fresh. Get rid of red meat, rice, and alcohol. Replace them with fruits, vegetables, whole wheat grains and lean meat. With these small changes, you can help your body to balance the hormone levels better, which in turn will make your hair healthier and stop hair loss. And if nothing works, see your doctor to rule out any other underlying health condition and for relevant treatment. Use apple cider vinegar coupled with food rich in protein to reduce hair fall and stimulate hair growth. Remove all sugars, processed food and dairy items from your diet, as this may aggravate hair loss. Eat eggs but with the yolk, so as to maintain good biotin absorption. Consume food rich in silica such as celery, sprouts, and bell pepper. Soak your grains, nuts, and legumes in clear water before consuming. Add a few drops of apple cider vinegar to it and allow to soak for 8 hours. Include coconut milk, organic eggs, brown rice, berries and hemp protein in your daily diet. Consuming a wholesome and balanced diet is the first step towards better hair health. However, do meet a dermatologist if you feel that your hair loss is excessive and needs to be checked upon.